Earlier this week I wrote that privacy shouldn't be an option. Privacy - like security - should be expected, not something that users have to enable. Need proof? 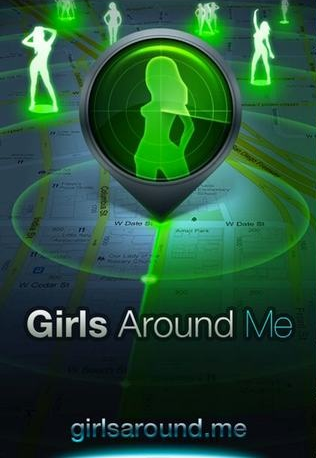 Just read about Girls Around Me, an incredibly ill-conceived app that takes advantage of women who don't know they need to configure the privacy settings in the social software they use. Software that isn't private by default assumes users know how to make it private, which is an unrealistic - and, in the case of "Girls Around Me," potentially dangerous - assumption. I write the Android version of Glassboard, an app designed for private conversations. Find out more at glassboard.com. Years ago, in the Dark Ages of desktop software, security was an option. People used software that was insecure by default, but if they knew where to look they could turn on various options that made the software secure. Microsoft Outlook used to be like that: by default it would allow viruses to be emailed to you, but you could configure it to be secure if you knew where the security options were. Then people started getting all sorts of nasty viruses via email, and Microsoft wised up. They stopped treating security as opt-in and started making their software secure by default. Fast forward to today and we're seeing a similar situation with privacy. By default most social software isn't private - it's configured to share everything about you, not just with people you know but also with advertisers. You have to figure out where the privacy settings are - and what they mean - if you want the software to respect your privacy. And as with the opt-in security settings of the past, today's opt-in privacy settings are leading to all sorts of problems. Every day we see headlines about privacy violations that could've been avoided if we used software that didn't treat privacy as an option. Software developers need to look at privacy the same way we've learned to look at security: it's not an add-on or a feature that customers have to turn on, it's something built-in that shouldn't be turned off.